Do you have Queensland ancestry? Cooloola Coast Cemetery is located on Rainbow Beach Road, Cooloola Cove - take the Tin Can Bay Road from Gympie then the fork to Rainbow Beach. Established about 1987, it has Monumental, Lawn and Columbarium sections. 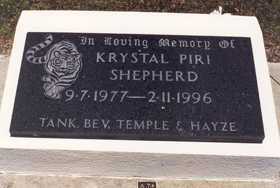 This transcription which was completed in October 2004, from over 100 headstones and plaques. It's a great genealogy tool for anyone exploring their family history or building a family tree.